Re-silence what was said, in morning light. One thing stands high above water, they are tough. You can find an Eucalyptus under some extreem circumstances; with their roots under water or on the rocks. They have been around for a long time, coming and going in New Zealand for example. The last coming was with ships under the sails of human beings taking them all over the world. At times they had been there before and than left. This happens in a odd way again. 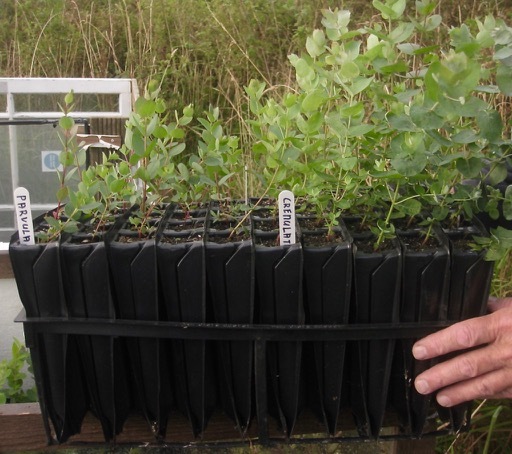 In Wales we grew Eucalyptus from seeds, only them species who could handle the climate and environment of the land Vagdavercustis. Exposed to salt winds and the extreems of wet and dry not to forget the cold. The species which did perform very well come from the cooler parts of Australia, like the mountains in East Australia. Surprisedly some of them are doing better in Wales than that they are doing in their native home land. 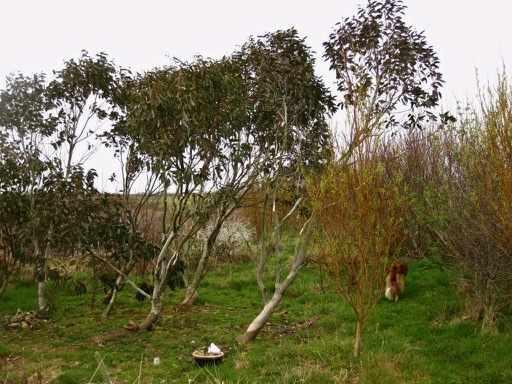 The ‘Eucalyptus parvula’ is almost extinct and the ‘Eucalyptus crenulata’ is listed as threatened in the home-base yet both are doing very fine in Wales. They seem to move from New South Wales to Old South Wales. 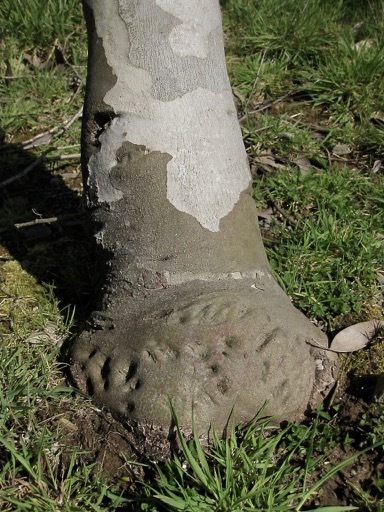 Some of the trees have lignotubers which look like odd lumps at the base of the tree which function as a reserve for the tree to grow again after severe damage. You can cut the tree down to just above the lignotuber and it will grow again. Very handy when you want to use it for Eucalyptus oil. The fast growing makes them such a money makers for an industrie of tissues. 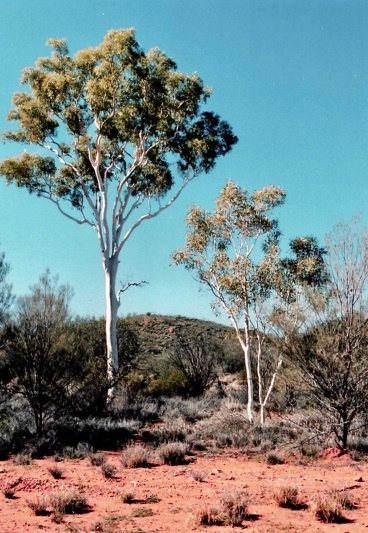 Yes, i want to plant some Eucalyptus in the Land Art Bos Spiral, they are beautiful and tough but they have to share the space with many other trees. 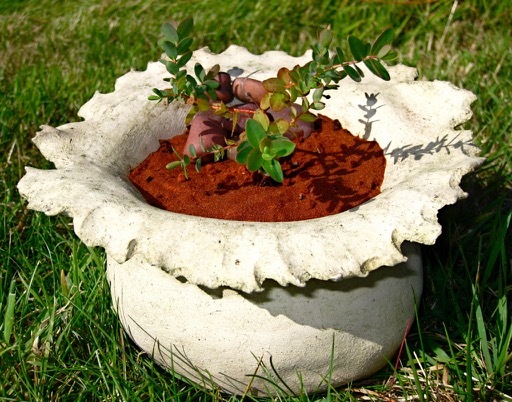 Here a link to an other blogger who is busy saving an Eucalyptus forest. This entry was posted in Land Art Forest and tagged bomen, Eucalyptus, growing trees, Land Art Bos, tree art, trees by roos. Bookmark the permalink.